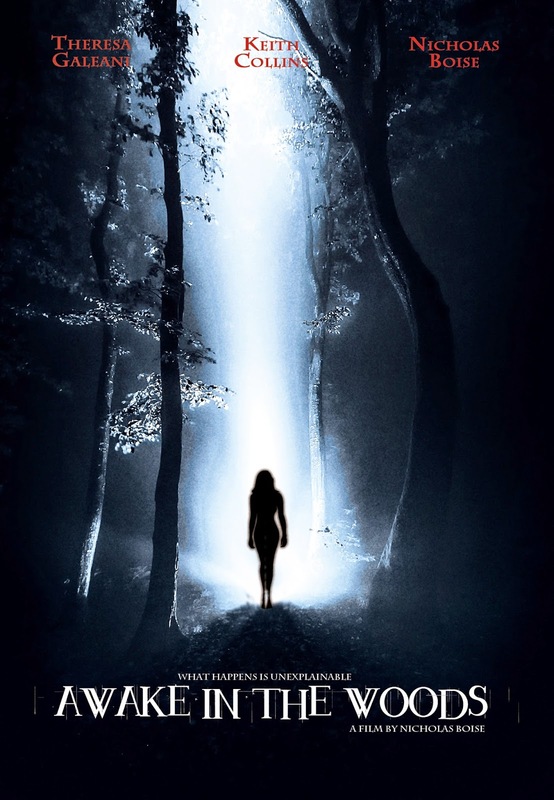 DAILY FILM FORUM: MOVIE SPOTLIGHT REVIEW - "AWAKE IN THE WOODS"
We were able to get our hands on a pre advanced copy of the new upcoming Horror / Thriller / Docu-drama "Awake in the Woods". Its the latest film by Nicholas Boise of MM Mayhem Films. Normally we are skeptical about these "found footage" or "lost footage" type films, however Awake in the Woods kept us on our toes. It begins by a series of interviews from patients whom have all frequented the urban legend woods and have survived. All of which appear to be lost in their own minds from the possession they have encountered by entering the haunted woods. A slow mind wondering start as to where this film will take you it starts to become extremely clever, eerie and suspenseful while it pulls you in deeper to the story. A cross between the famed two successful films "Blair Witch Project" and "Paranormal Activity" if you were fans of those then Awake in the Woods is the next one to fasten your seatbelt up with! Taking you through a farmland scenery leading up to the woods that seem to be peaceful, they become mildly dense and seem to go on for miles and miles then slowly begin to pull you into their ultimate creepiness and lock you into their myth. The acting in the movie is stellar. Ronnie (Theresa Galeani) puts on quite a performance, very spooky and clever in a leading role with her two best friends Derek (Keith Collins) who is no amateur to the screen giving quite a seasoned chilling performance and Tucker (Nicholas Boise) who rounds out the trio in a supporting role. The cast engages you as you see their fear and complete companionship together as they try to document the heard about stories and conquer the haunted woods. Half way in and glued to the screen, the movie starts to really come at you. At times you can feel your pulse start to elevate wondering what will happen next. The last 15 mins of the film is thrilling and fast as everything moves rather quickly flying at you to the final end moments which will leave you totally scared, spooked and startled. They say there was a paranormal possession while filming? I say possibly accurate if not very believable. It may have happened, it may not have, however after watching "Awake in the Woods" I won't be stepping foot anytime soon near those Marion woods to find out!! "Awake in the Woods" is being released worldwide by Shami Media Group, Inc. May 19th 2015 in select theaters followed by DVD. See the trailer below to get a glimpse as whats to come.